Born into the family of "Nalu Veetil Kuruppanmar" who moved from Odanad ( Kayamkulam Kingdom ) to Travancore in the 1730's. Tekke Pevarathala Family had been closely associated with the History of Travancore. They were the custodians of Koodalmanikyam temple. Descendant on the Lineage of Late Parvathi Amma, Nyla was born to Sri Gopakumar & Srimati Usha Kumari. She has a sister Athira & brother Kannan. She studied in Holy Angels Convent, and then in All Saints Trivandrum. Active & Energetic during her education, she took part extra curricular activities as well. Loved to be photographed, she was part of modeling, dancing, festivals in colleges. Had desires to be a flying hostess at a time and then she ended up as a celebrity hostess, however entered media through various television channels and later moved to Dubai to join Hit 96.7 Fm. Headhunted from her job as a TV presenter, Nyla moved to Dubai with her family in 2004 to start work at Hit 96.7FM. As the Big Breakfast Club co-host, the vivacious chatterbox is a celebrity within the Malayalee community. Which is great, she says, but this girl is no shrinking violet. Her ultimate goal is to have everyone in Dubai talking about her. “I want to be a household name here! National Award winning director Salim Ahamed has started the shoot of his next project. Titled Kunjananthante Kada, the movie stars Mammootty in the title role. 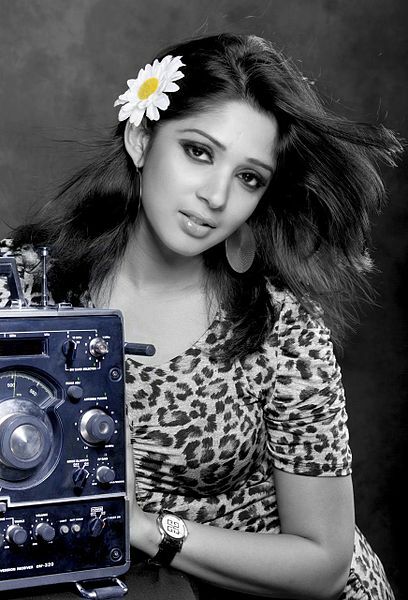 It will also see debutant Nyla Usha, RJ of Hit 96.7 from Dubai, playing the superstar's wife. Hit 96.7 is a radio station in Dubai, United Arab Emirates. The radio station, which is a part of the Arab Media Group, broadcasts in Malayalam. It was launched in June 2004.